[VIDEO] Aliens Walking On The Moon, The Truth Exposed. It’s been 42 years since the last man walked on the moon on the Apollo 17 landing. On December 11, 1972 Eugene Cernan and Harrison Schmitt landed on the moon after they launched off the first nighttime liftoff of the Saturn V rocket. There three day stay on the moon’s lunar surface included three moonwalks, where they collected lunar samples and deployed scientific instruments. The Apollo 17 crew returned to Earth on December 19 after a 12 day mission. So why have we not sent any more Apollo missions to the moon? Did these astronauts see something so frightening that nobody wanted to return? Have they been sworn to secrecy of the details of their missions? 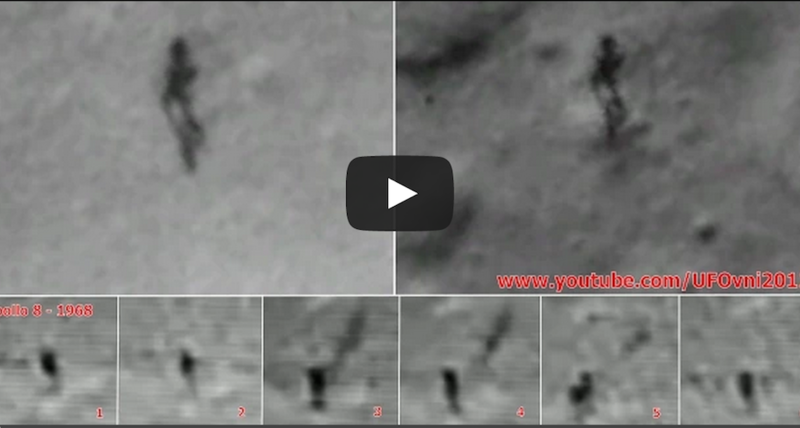 The video below shows what seems to be images of “giant” people spotted on the surface of the moon. Check it out!